Let’s face it: interviews aren’t fun. Despite how well you’ve prepared or how confident you are, trying to convince someone that your skills and experience will benefit their company can be awkward and uncomfortable, especially if you have to sit across from a panel of professionals, in a fancy office, in uncomfortable clothes. So phone interviews should be a breeze, right? Wrong. Interviewing over the phone comes with its own challenges. Not only are you unable to read the body language and facial expressions of your interviewer, but you also can’t use nonverbal cues to exude confidence and attentiveness, thus hindering your ability to adjust your tactics as needed. Nevertheless, phone interviews are often an obligatory step in the hiring process and, seeing as you can’t avoid them, you should be able to master them. With these three expert tips, you can perfect your phone interviewing skills and shine in any over the phone situation. 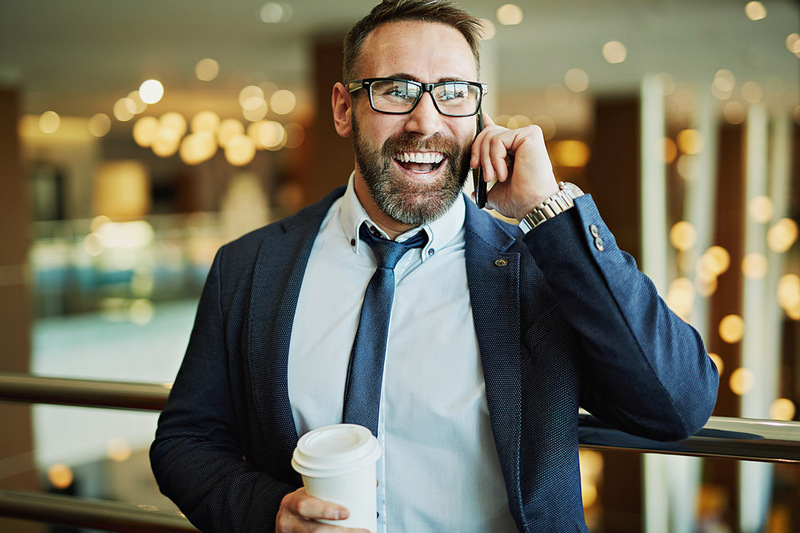 One of the biggest challenges of phone interviews is the inability to read nonverbal cues,1 which are a powerful part of how we communicate—in fact, most communication is nonverbal).2 However, by being clear and concise with your answers, you’ll be able to give your interviewer the verbal and tonal cues they need to recognize when you’re done speaking. Avoid long-winded answers that trail off with uncertain endings. Instead, be authoritative in your response by finalizing answers in a concrete way. One of the easiest ways to do this is to conclude your answer by repeating the initial question content. For example, if you were asked, “What were your sales expectations and how many units did you sell in the last year?” you could answer accordingly and conclude with “... and I sold X units in the last year.” This type of answer gives your interviewer the courtesy of knowing they can continue with the questioning. Even though you could technically have a phone interview in your pajamas, career experts recommend dressing and preparing just as you would for an in-person interview. If you wear clothes that make you feel confident and professional, chances are you will sound that way, too. You should also prepare your home or office appropriately. Eliminate distractions like pets, television, or roommates and consider sitting in front of a mirror as you speak. Being able to see yourself as you answer will encourage you to use body language (like smiling! )3 that will help your personality shine over the phone. The obvious key to nailing any interview is to be prepared, and this rings true for phone interviews. Start preparing for your interview days prior to the actual call date and find out everything you need to know about the company. Make a list of questions you anticipate will be asked and practice answering them. Have accurate, quick examples to back up your skills and experience. The more prepared you are, the more you’ll be able to show your interest and qualification for the job. Furthermore, you should also practice your greeting, as this will set the tone. Stay away from the ever casual “Hello?” and instead answer the phone with a friendly greeting and your name like “Hello, this is Mike.” You can also use these first few seconds to thank the interviewer for their time and consideration. Have your greeting down pat by the time you answer the phone. We hope these tips will help you leave a fabulous impression during your next phone interview. What phone interview tips or tricks have worked for you in the past? Drop us a line on Twitter or Facebook. We’d love to hear from you!